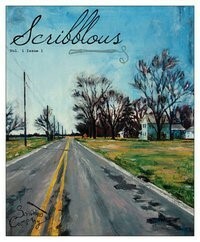 Scribblous Magazine is a new literary and arts publication at Grace College. A new literary and arts magazine has been released at Grace College, Winona Lake. Ind. Scribblous was released over the weekend and features writing and poetry by students. Headed by Andrew Jones, a former BMH editorial intern, the Scribblous Company is comprised of students from various disciplines. Their initial release was funded from a grant from Grace’s Student Senate and is available on campus at no charge. They are currently seeking funding for the two issues that are planned in Spring semester and hope to become a recognized student group on campus. This issue includes fiction, poetry, and a story about the Chateau de Sant-Albain in France. Future issues will follow the themes of Adventure (due January 17, 2011) and New Beginnings (due February 28, 2011). The group has established a Facebook page and a blog. For more information, to obtain a copy of the first issue, or to make a donation, email them at scribblous.magazine@gmail.com.